Earlier this month, Breitling and the Frecce Tricolori met at the Italian air base in Rivolto to reaffirm the longstanding partnership and to reveal a new Chronomat 44 bearing the flight team's livery, along with a limited edition featuring the same design. 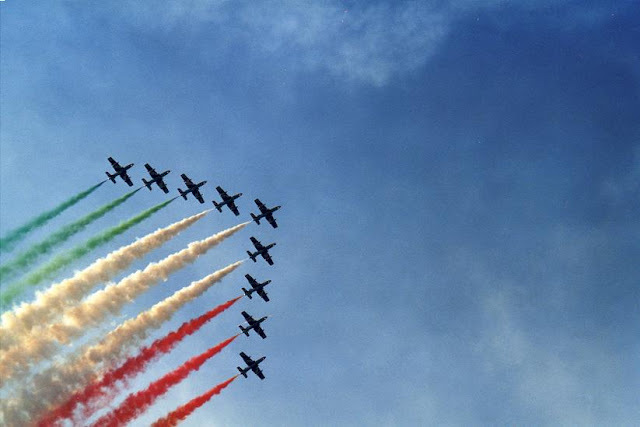 Among the many exceptional squads that are associated with Breitling, the Frecce Tricolori – the Italian airforce aerobatics team – holds a place of its own. In 1983, Breitling was chosen by the "tricolor arrows" to design their official watch. In doing so, Breitling worked closely with pilots in order to create an authentic aviation chronograph. A year later, in 1984, based on this ultra-functional, original and elegant watch, the brand launched its famous Chronomat which has since become its star model and has recently been reinterpreted. 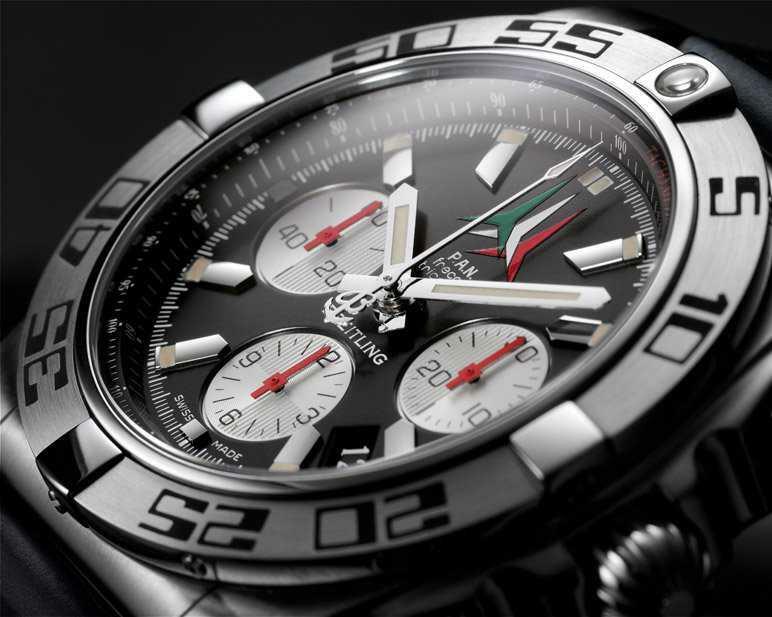 Now, 30 years on, Breitling is creating a special version of the Chronomat 44 for the Frecce Tricolori duly customised in the team colours. Forhigh-flying feats and aviation enthusiasts, Breitling is also offering a 1,000-piece limited edition with the same exclusive design. Its black dial (like the original 1983 model) bearing silver-toned counters with red hands is distinguished by the team logo emblazoned at 12 o'clock. Three arrows in the red, white and green colors of the Italian flag are topped with the inscription "P.A.N Frecce Tricolori" (P.A.N. standing for Pattuglia Acrobatica Nazionale). 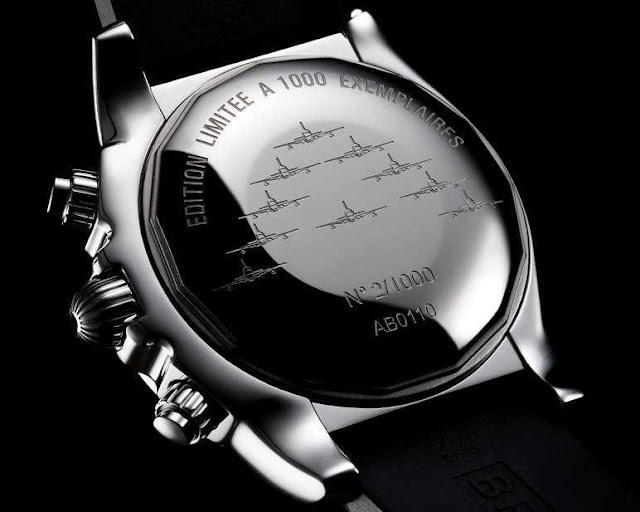 The caseback bears the engraved silhouette of the ten Aermacchi aircraft composing the squad. 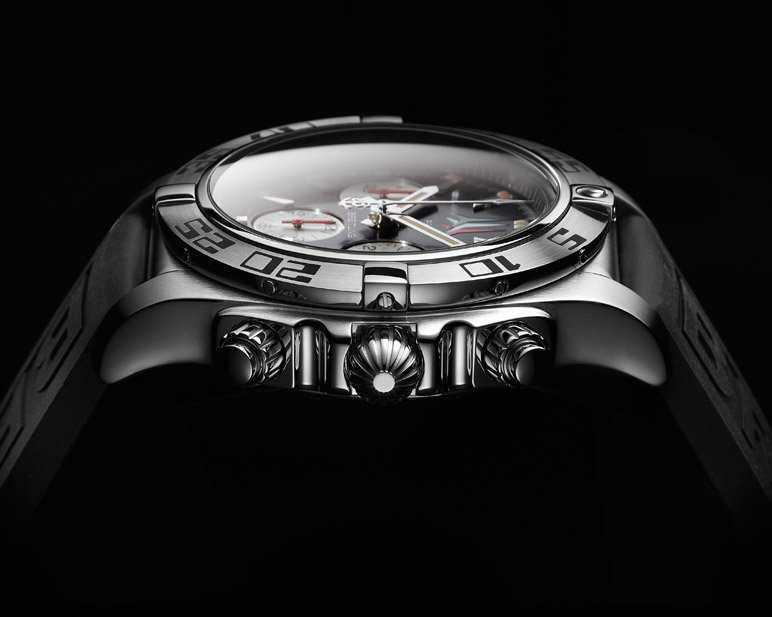 The sturdy steel case and the bezel with black rubber-encrusted numerals feature satin-brushed tops and polished sides. Water-resistant to the exceptional depth of 500 metres, (1,650 ft), the watch houses Manufacture Breitling Calibre 01, a high-performance chronograph movement developed and produced by Breitling, and chronometer-certified by COSC. 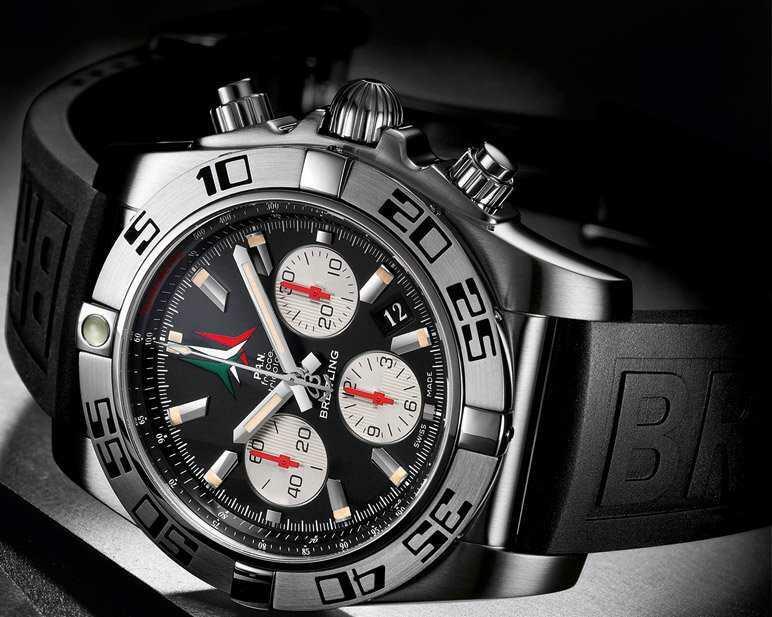 It is available with a choice of wristbands, one of them a new black rubber strap with an embossed Breitling signature. The Frecce Tricolori Chronomat 44 and the limited edition were presented during a special event organised at the patrol's Rivolto airbase in north-east Italy. It was attended by team pilots, a number of Breitling guests, along with members of the military, leading personalities and key representatives of the national press. 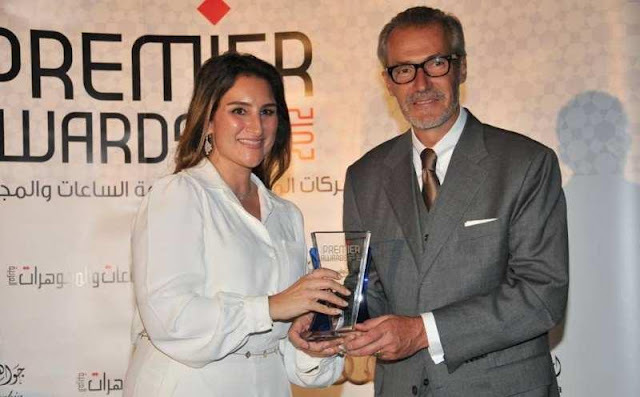 Arabian Watches & Jewellery (AWJ) Magazine has proudly hosted the Middle East Premier Awards for the past 8 consecutive years, and the awards were presented alongside Jewellery Arabia 2012. The Presentation Ceremony was accompanied by a grand dinner reception at The Ritz Carlton, in the Kingdom of Bahrain on Tuesday, 16 October, the inaugural night of Jewellery Arabia 2012. The event was attended by over 300 distinguished high profile guests. 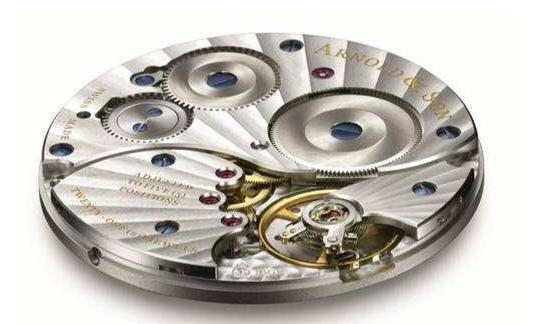 Arnold & Son emerged as winner in the category ‘Best Classical Watch’ with the HMS1 in an 18-carat white gold case with a silvered dial. The case is 40 mm in diameter and houses a manufacture hand-wound movement only 2.7 mm thick. The HMS1 forms part of Arnold & Son’s magnificent Royal Collection, inspired by the timepieces created during the earlier part of John Arnold’s life for King George III and the royal court. The HMS1 reflects elegance and sophistication in inimitable English style. The A&S1001 calibre, features gorgeous Côte de Genève rayonnantes decoration that creates depth and dynamism as in the dial. The manufacture movement is made from rhodium-treated nickel silver with haute horlogerie finishing, including hand-chamfered bridges with exquisitely polished edges, fine circular graining and blued screws. 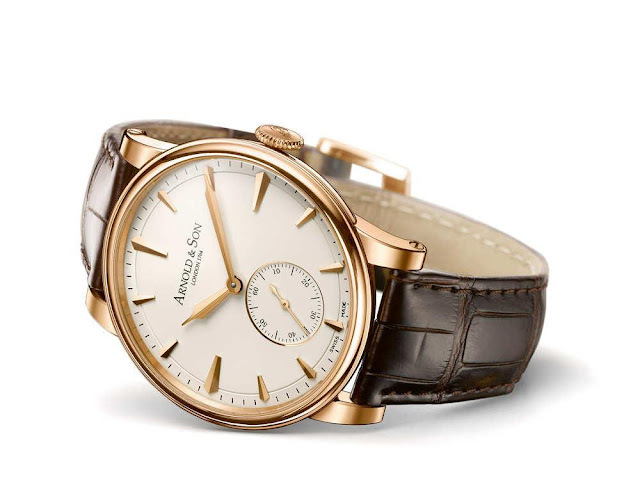 The two barrels, which provide over 80 hours power reserve, are double that of most watches in this segment which provide only a single barrel. The two barrels provide more constant power and force, which results in improved accuracy while the movement is running.